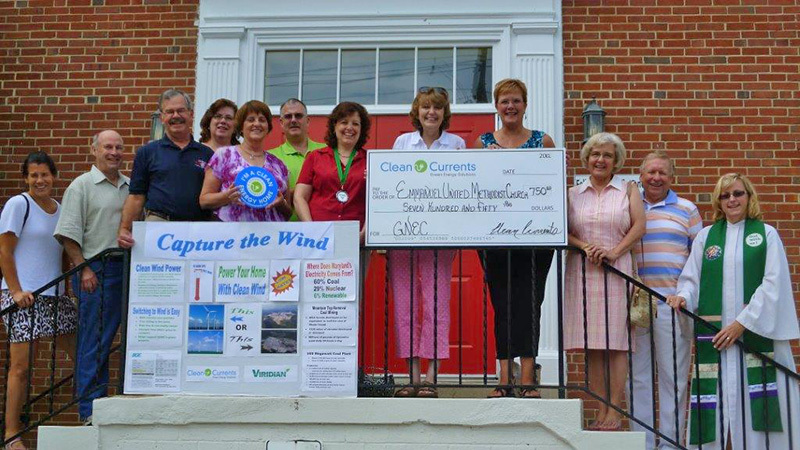 Emmanuel United Methodist Church is operating on 100% renewable energy, without solar, or wind on their premises. They have reduced their carbon footprint 30%, and the 70 tons of CO2 that went along with it annually. How did they do this? They were part of Interfaith Power & Light (DC, MD NoVA) and Groundswell’s program which brought together many non-profit organizations and faith communities to purchase clean renewable energy, thus getting a group rate (and saving money).